The threat of a Sunni-Shia crisis is important because of its potential to trigger a sectarian Syrian civil war. Determining the importance of a Sunni-Shia crisis to other threats to the country. 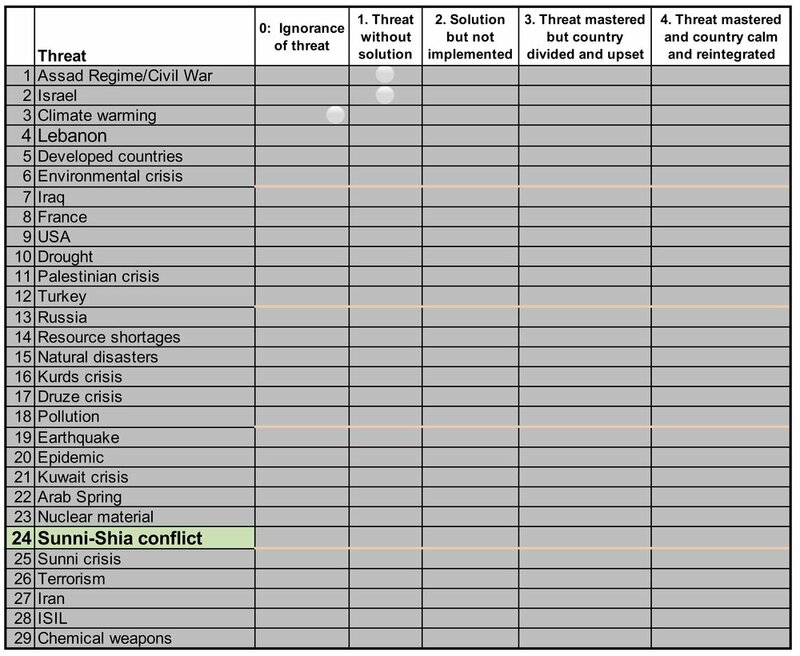 As shown in the chart below, the threat of a Sunni-Shia crisis ranked 24th most important.